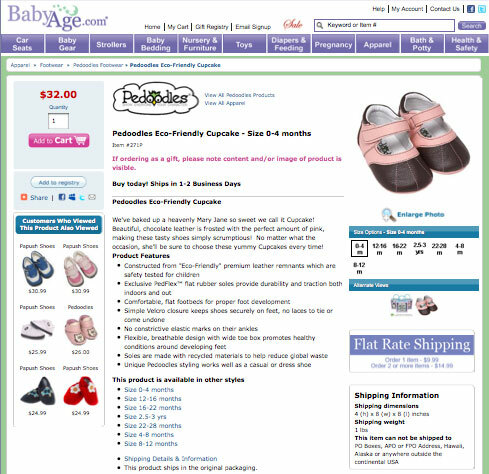 Our friends at Wider Funnel and WhichTestWon.com were surprised to find that an unconventional left-hand placement of the add to cart button on BabyAge.com outperformed right-hand placement in an A/B split test, achieving a 16.7% higher conversion rate. The discovery was surprising because it seems 99.9% of online stores place the cart button on the right hand side, and you’d think that customers have been conditioned to look for the cart button there. But in light of Jakob Nielsen’s recent research that found that horizontal attention leans left, BabyAge’s test result doesn’t seem that peculiar. 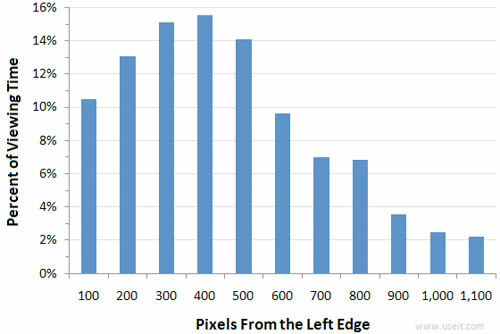 Nielsen reports “Web users spend 69% of their time viewing the left half of the page and 30% viewing the right half.” Could it be that the left-hand placement converted better because customers’ eyeballs tend to spend far more time on the left of a page than the right? 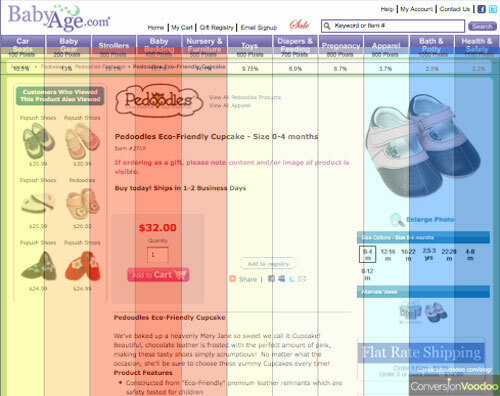 Hat tip to Brendan Regan from FutureNow for finding a downloadable overlay tool from the Conversion Voodoo Blog. 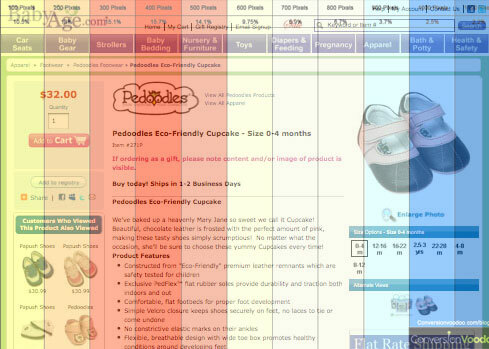 It’s a (kind of) heat map based on Nielsen’s findings that you can superimpose over your landing page to see where most user attention-time is spent. The tool can be downloaded as a .png or a .jpg. The question is, what if BabyAge tested the cart button in the “sweet spot”? 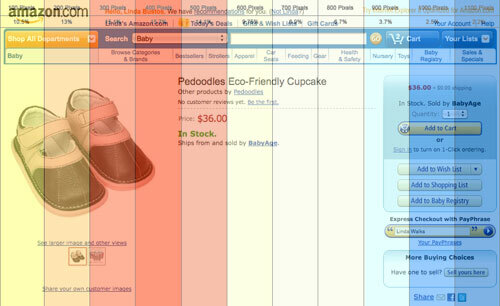 Or a better question, what if you tested this on your ecommerce site? 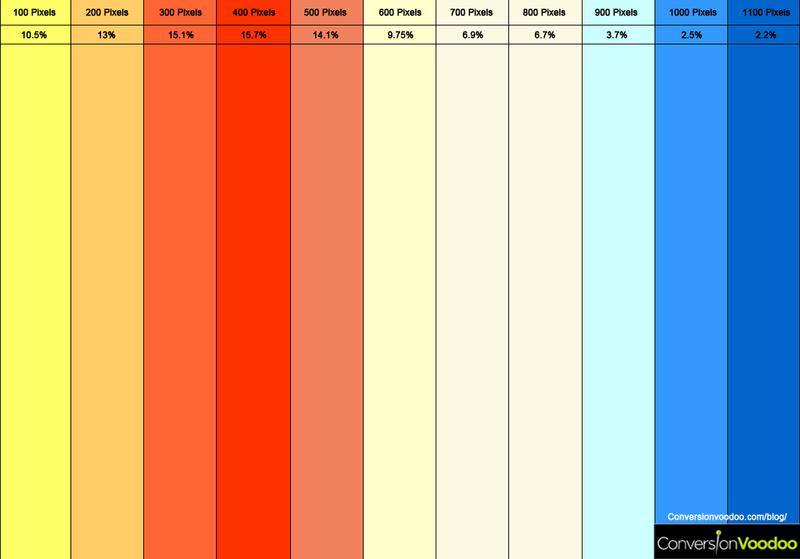 Post-script: ConversionVoodoo makes a good point that Nielsen’s tests were performed on static 1024×768 resolutions, which may not reflect the majority of web users, and the examples focused on content sites, not necessarily ecommerce pages. Nevertheless, this research may push you in the direction to test calls to action and other important elements on your site on the left side instead of the right, and find out for yourself whether it can move the needle on your own conversion rates.